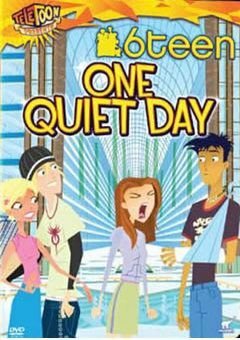 Summary: 6Teen (2004–2010). In the Galleria Mall, six 16-year-olds Jonesy Garcia, Nikki Wong, Jude Lizowski, Jen Masterson, Wyatt Williams and Caitlin Cooke learn the ropes at their first jobs while negotiating the bumpy road through their high school years in this animated Canadian series aimed at tweens and teens. 6Teen S01E24 – It's Always Courtney, Courtney, Courtney! 6Teen S01E26 – Boo, Dude! 6Teen S03E21 – Whoa, Baby! 6Teen S04E05 – Quit It!